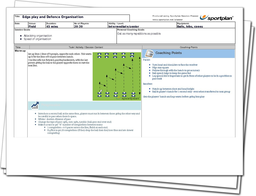 Get your defence organised with this session, making sure your players are communicating with one another, as well as going forward together as an unit! Teams that play together win together, which is the key focus of this session. 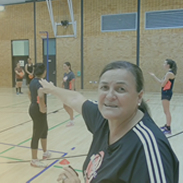 With the use of a conditioned game, get your players prepared for a match situation and talking to their team-mates. It's key that your team are organised on the pitch in both attack and defence, giving each other support and providing options, so you can maintain or gain possession of the ball. Get your players working as a team with this session!